Innovation means building the products that will continue to lead and define the industry in terms of creativity and utility. It means constantly asking ourselves how we can be better. Integrity is critical to how we’ve chosen to do business. It means interacting with our customers, and each other, honestly and directly. It also means building products that perform reliably, and a brand that behaves consistently, year after year. The award-winning, breakthrough, “Field Strip” innovation, comes from the shop of legendary knife craftsman Ken Onion. This no-tool take-apart technology allows for practical and efficient tool cleaning & maintenance in the field. To disassemble: start with the knife in the closed position, push the front release lever up away from the blade, then spin the release wheel on the rear of the handle away from the pivot shaft—once you feel the handle release, pull it up and away from the blade. The knife comes apart in three sections. Reassembly is as easy as reversing the procedure. For more information and a short FAQ video on how it works here. 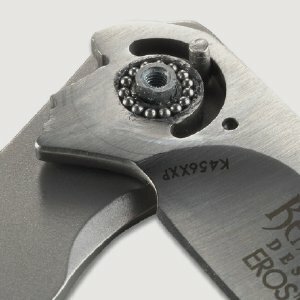 Designer Flavio Ikoma and Rick Lala invented this system that sets lubed ball bearings into the folding knife pivot. The result is rapid blade deployment that is smooth and fast. Go ahead, set a flipping land speed record. Designer Glenn Klecker seamlessly integrated this lock directly into the handle. 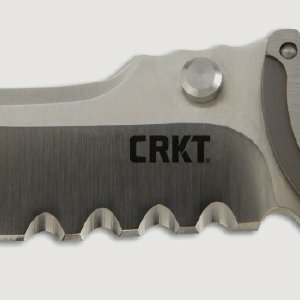 Goodbye traditional locking mechanisms. 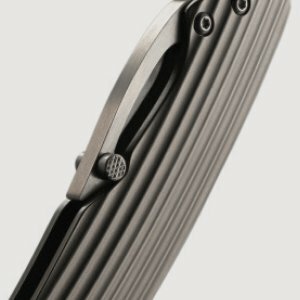 Hello new and exciting knife designs. 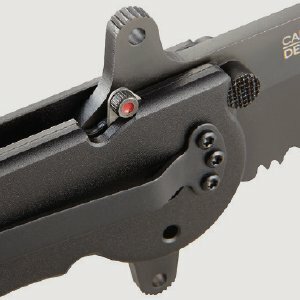 The innovative cam locking system features a blade that can pivot 180°. 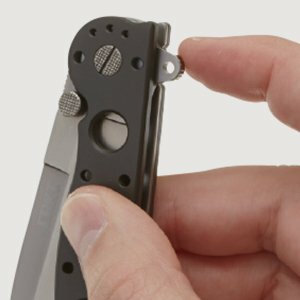 To open, simply press the front cam lever mechanism down with your thumb and rotate the blade outward until it fully extends and securely clicks into place. To close the knife, press down on the cam lever to disengage then swing the blade back into the closed position. 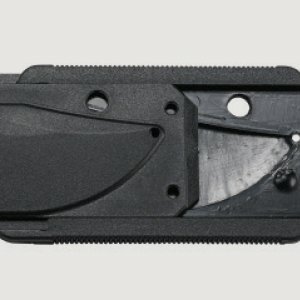 Once the blade is in the closed position, no part of the edge is exposed and the knife is secure to carry. 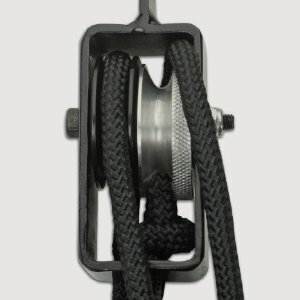 An innovative lobed and knurled cam successfully locks the rope into place, eliminating the need for a difficult and often inconvenient tie off. With professional hunting guide Russ Kommer’s innovation, hoisting your game is now as easy as cleaning it with one of his blades. Some hone edges. Others, like “Edgeologist” Tom Veff, reinvent them, with his exclusive and patented Veff Serrations ™ that offer superior cutting of cordage, rope, and fibrous materials—none are safe. Tom Veff knows a thing or two about edges. As the world’s finest and only “Edgeologist” he specializes in serrations that improve cutting efficiency. So you can go through fibrous materials like a torched straight edge does through cold butter. Dirt, fuzz, muck, sand, and dust, all easily dispatched from your blade’s comfort zone. Slide this Easy Clean sheath apart and wipe away the grime. After you’ve cleaned your blades’ bedroom, click the two-piece sheath back together and create a dirt free zone for your blade to securely reside. It’s so easy. 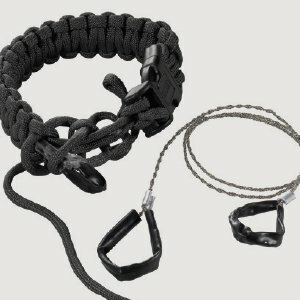 Outside, it’s a braided paracord bracelet. Inside, it’s a stainless steel tungsten carbide coated wire saw. You’ll only need to recognize the Ken Onion designed Para-Saw™ for what it really is: a way to save your bacon in emergency survival calamities. When situations are coming on fast, you don’t have time to search for everything you need. 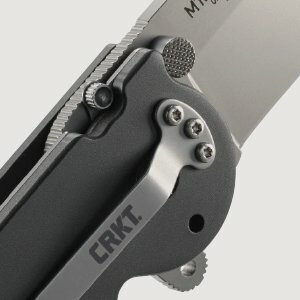 Thankfully, the M16® Law Enforcement knives’ on-duty features include the Carson Flipper, seat belt strap cutter, and tungsten carbide window breaker, all built right in. Protect and serve. You don’t see the clip, do you? 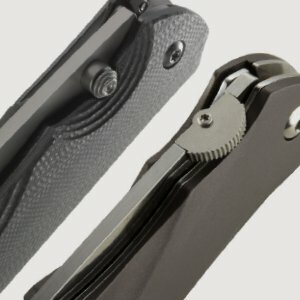 That’s just the point with the Ken Onion designed pocket clip on the side of the knife. Spring tensioned, it provides an improved hold on your pocket...and looks classy when it catches your eye. 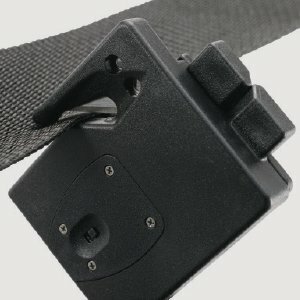 It’s a seat belt cutter that clips to your belt. It’s a window breaker and LED flashlight. If someone’s trapped in a vehicle, Russ Kommer’s tool can be the difference between life and death. Save lives. When the knife is in the closed position, sliding the lever at the top of the handle backwards clicks it into place and reduces the chance of it opening unexpectedly. When open, sliding the lever forward locks it into place, which is exactly where it’ll stay until you reverse the procedure to disengage and return it to the closed position. 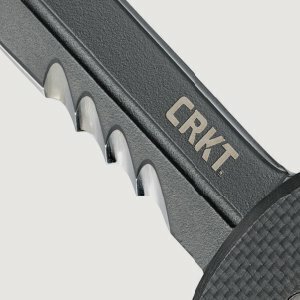 You want to grab your knife with the confidence knowing it’ll handle any job. 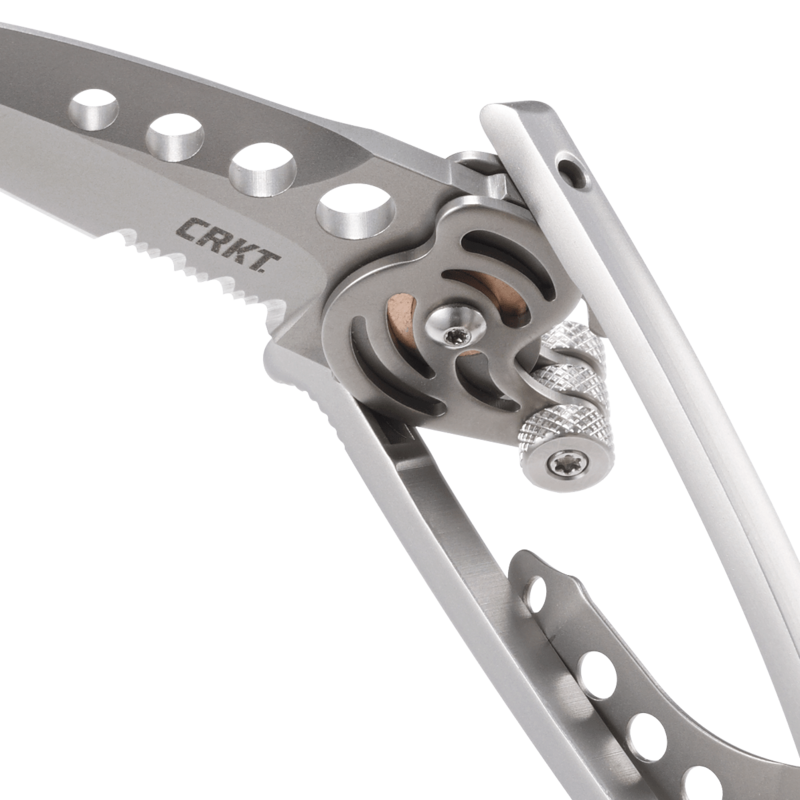 That’s why CRKT® has led the way in developing lock and safety systems that provide the optimum level of safety for each folding knife’s intended use. The Ikoma Lock Safety or ILS™ gives you an extra layer of safety when work stuff like lint, dirt and grease, gunk up your locking liner. Flavio Ikoma, innovator of the IKBS™ pivot system, ingeniously added a lever with an elbow, which automatically puts a pin between the liner and frame. This helps prevent the liner from slipping down the blade ramp. When you’re done using your knife, press down on the ILS™ thumb rest and slide the locking liner over to disengage the safety. It’s always good to have a backup. Especially when it comes to safety. Automated liner safety is the locking liner safety innovation taken to the next level. The automated liner safety sets a pin between the locking liner and the frame. This pin acts as an additional layer of safety, so the locking liner is less likely to disengage during use. 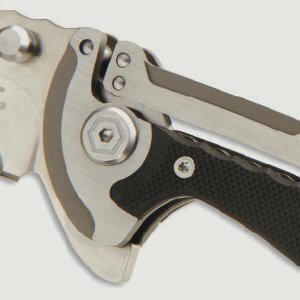 Who better to develop and patent a safety system for locking folding knives than the father of them all—Ron Lake. 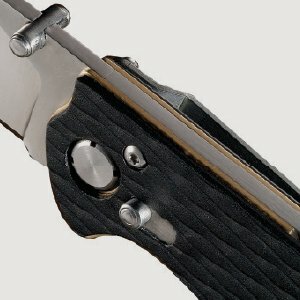 With L.B.S™ (Lockback Safety), you just lock the blade in the open or closed position and slide a button forward. Lightning fast. Ridiculously easy to use. These are just a few of the ways people have described our patented opening system. Just manually open the blade up to 30 degrees and the patented OutBurst® assisted opening mechanism springs the knife fully open so that you’re good to go. 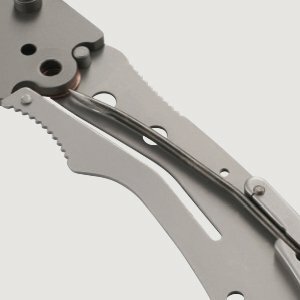 The powerful spring also holds the blade securely closed when not in use. On many models, we’ve combined the OutBurst® system with our locking and actuation systems like Fire Safe® for a new level of ease of operation, as well as security. Press the spring-loaded thumb stud to release the locking liner and pin. Press the thumb disk to release the locking liner and pin. Whichever you use, the mechanism is easy and intuitive. 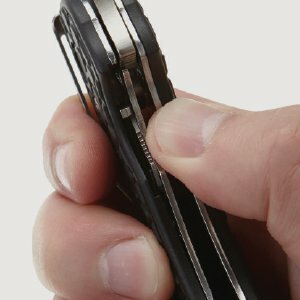 Simply nudge your thumb outward and OutBurst® handles it from there propelling your blade into an open and locked position. 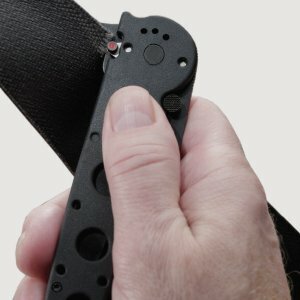 This additional action of pressing and nudging of the blade helps prevent accidental opening to put you (and your blade) in complete control of the situation. Retired Master Sergeant and custom knife-maker Kit Carson defined this ingenious opener that challenged the conventional ways of opening a knife. With a simple finger pressure of the “flipper” incorporated into the blade, the blade flips open and locks, so you’re ready for action. Once open, the flipper works great as a blade guard as well. 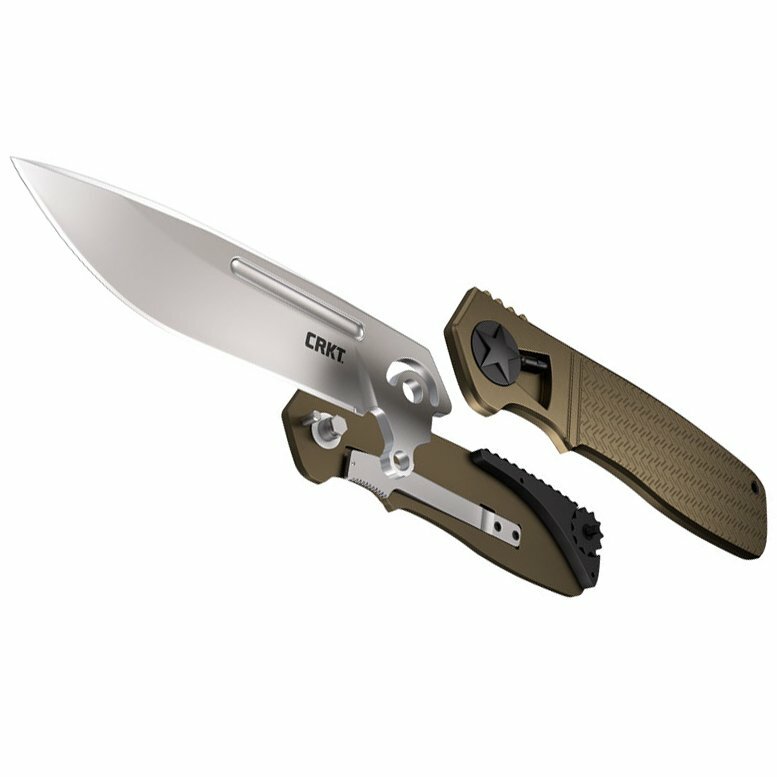 Look for the Carson Flipper featured on many of our tactical knives.